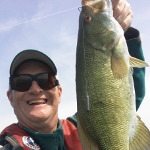 Lake St Clair summer to fall bite has a transition period. Learn tactics to find smallmouth during this period. Lake St Clair fall “changeover” period can really mess with your summer spots. Be prepared to switch strategies. Lake St Clair Canadian water is massive. 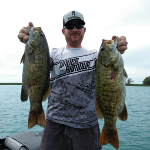 This article is a bass fishing primer that breaks the big water down into productive zones. 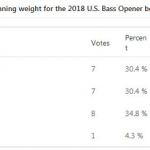 Lake St Clair Canada Bass Opener 2018 brings on more open water, and more tournaments. 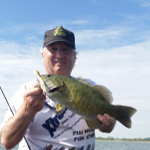 Lake St Clair Smallmouth 2018 Increase Called in Advance by Dan Kimmel of Great Lakes Bass. The Lake St. Clair water levels report for June, 2018 shows a slight increase. Lake St Clair peak water levels are likely here for 2018. 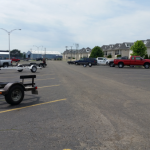 This helps anglers to operate in a stable fishery. 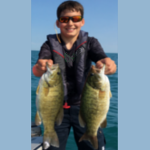 Lake St Clair smallmouth bass bite is picking up, and conditions are starting to improve. See video of a late April bass fishing trip. 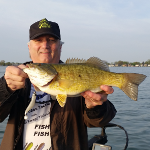 Lake St Clair bass fishing report for April 13, 2018. We beat the NE wind.